Contrary to popular belief, Cinco de Mayo is not Mexico’s Independence Day. That’s September 16, the day in 1810 when a Roman Catholic priest rang his church’s bell in the town of Dolores, pronouncing the start of Mexico’s war for independence from Spain. What does this have to do with concerts in Las Vegas? Well, Vegas is one of the most popular spots outside of Mexico proper to celebrate Mexican Independence Day, with Latin music’s biggest stars performing throughout the weekend—including at The Chelsea, where you can see chart-topping, award-winning singers Ricardo Arjona (Friday, Sept. 15) and Pepe Aguilar (Saturday, Sept. 16). ¡Viva México! Everybody loves cake. Some of us even enjoy it by the ocean. But the CAKE you’ll find at The Chelsea inside The Cosmopolitan on Thursday, October 5 is far less likely to give you either a toothache or leave you finding sand in unwelcome places. Instead, this quintet of musical mavericks will get your booty shaking with funky alternative rock gems like “Short Skirt/Long Jacket,” “Never There” and quintessential anti-grunge anthem “The Distance.” No word on whether the band will cook you an amazing meal, however. We’re going to come right out and say it: If you want to ease the object of your affection into an, ahem, amorous mood, you’re going to want to bring her or him (or them—we don’t judge) to see Maxwell live in concert on Saturday, Oct. 7 at The Chelsea. The neo-soul specialist has been making music to groove to since the mid-1990s, when he first hit with his debut album, Maxwell’s Urban Hang Suite, and hasn’t stopped since. In addition to classics like “Fortunate” and “Sumthin’ Sumthin’,” expect to hear a lot of cuts from his latest album, black SUMMER’S night, including “Gods,” with which Maxwell dazzled viewers during a live performance at this year’s BET Awards. Not a fan of the PIXIES? Maybe you’re a fan of Nirvana. Or Weezer. Or Bush. Guess who they all copped their loud-quiet-loud, feedback-laden sounds from? Yep, basically, there would not have been alternative rock as we know it without the PIXIES, the Boston-spawned quartet led by Black Francis. Although the band broke up in 1993—just as the artists they so heavily influenced were taking over radio and MTV—the PIXIES regrouped in 2003, and have been touring ever since (as well as dropping a few new albums). However, nothing lasts forever, so we don’t recommend sleeping on a chance to see these alt-rock pioneers live at The Chelsea on Saturday, Oct. 21, just in case this monkey goes to heaven … again. It’s been more than 20 years since the release of Illmatic established Nas as a game-changer in the world of hip-hop, and the New York City-based rapper-actor-entrepreneur hasn’t stopped since. Get lost in the beats and storytelling of songs such as “I Can,” “If I Ruled The World,” and “Street Dreams,” when Nas explodes onto The Chelsea stage on Friday, Oct. 6. 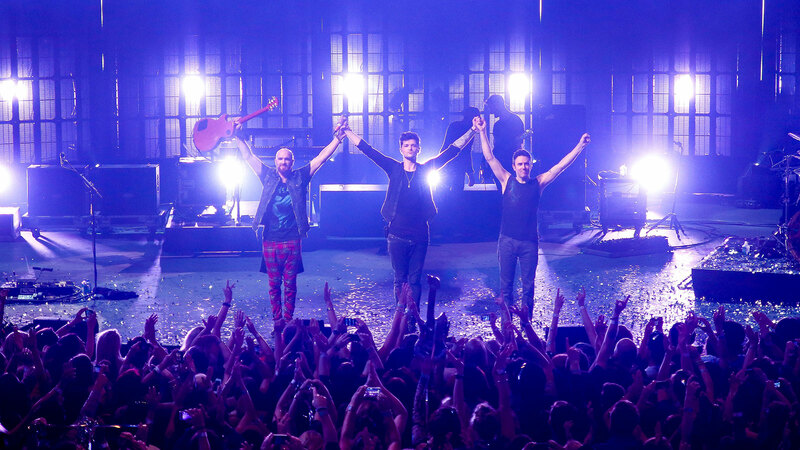 The Script is one of those bands whose music you know, even if you don’t know it’s them. The Irish trio’s harmony-laden pop-rock has turned up in such American TV shows as 90210, The Hills and The Vampire Diaries. Plus, lead singer Danny O’Donoghue was a coach on The Voice UK, which makes him like, what, an Irish Adam Levine? Anyway, you should get to know The Script better when the band stops by The Chelsea on Sunday, Oct. 15 to support its new album, Freedom Child. Your ears will thank you.